interview me for a paper. 2. Study business. You need to hone your audio chops, absolutely. potential clients and sell your services to them. many of them would you want to hire again? you have all the answers, get out there and learn something new. actually help you with numbers 4 and 6. 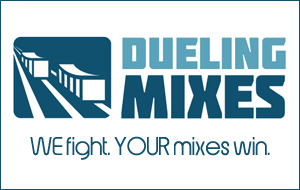 It’s a little thing I like to call Dueling Mixes. You WILL get better, which will lead to more paid gigs. But we can’t help you if you don’t join.